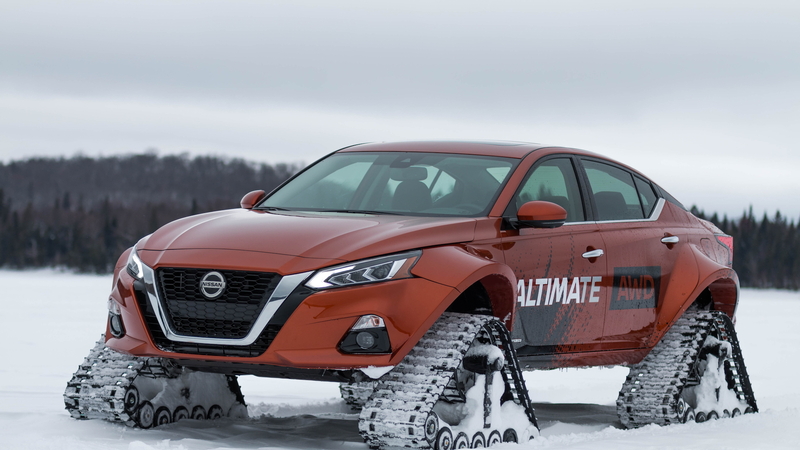 Meet the Altima-te AWD, a funny play on the word "ultimate" using the popular Altima nameplate. 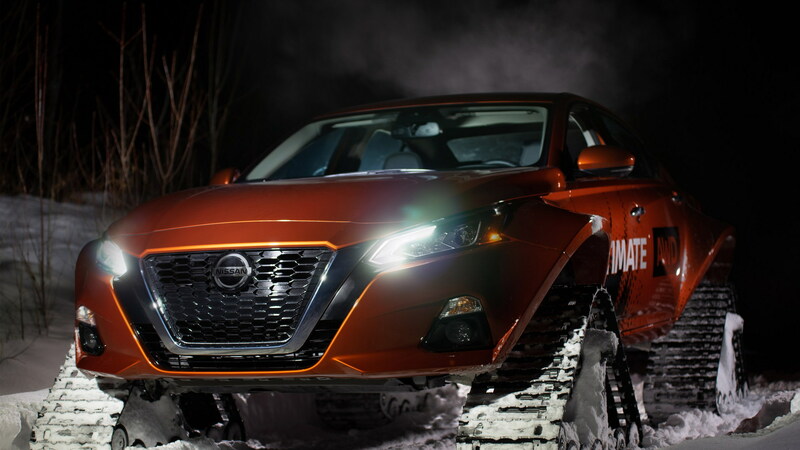 Nissan revealed the modified 2019 Altima on Thursday as the next vehicle to join the "Warrior" ranks. Previous entries to receive the wild treatment include the Juke, Rogue, Pathfinder, and 370Z. The Altima as the latest Warrior makes a lot of sense. The redesigned 2019 model is the first time Nissan has outfitted the sedan with all-wheel drive, and the brand plans to parade the Altima-te around the Canadian auto show circuit, starting with this week's 2019 Montreal International Auto Show. 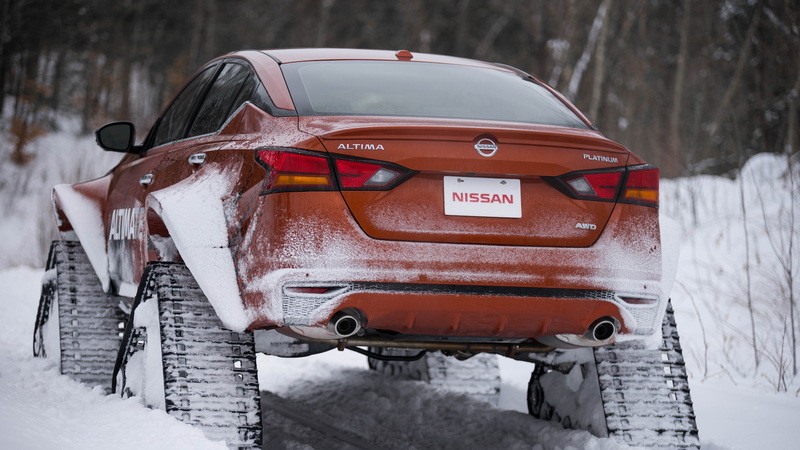 It's quite snowy up north, and the Altima comes standard with the new all-wheel-drive system in the country. In the U.S., front-wheel drive is standard and AWD is a $1,350 upcharge. "We wanted to make a statement to customers. The average person does not assume a sedan offers AWD," Nissan Canada President Joni Paiva, said. Perhaps Subaru would like a word with the new Altima. Nissan went to Montreal-based Motorsports In Action to handle the modifications, and chose the "Dominator" track system from American Track Truck to replace the sedan's standard wheels. 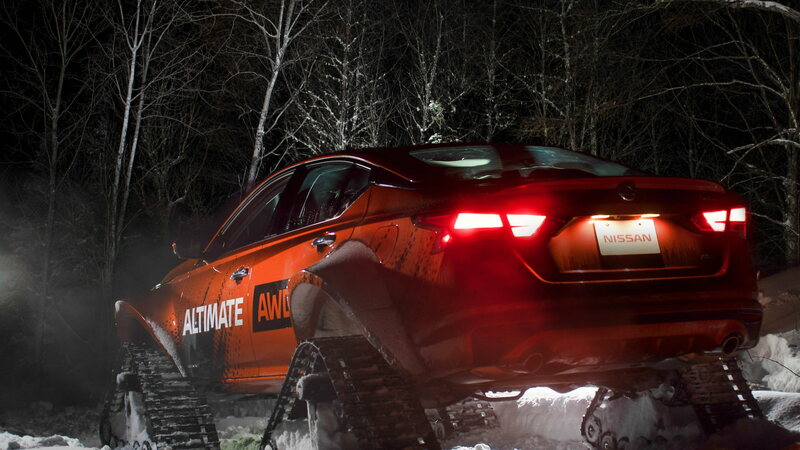 Each track measures 48 inches long, 30 inches tall, and 15 inches wide to give the Altima-te a real "go-anywhere" sense of capability. That didn't happen without some pretty major body and chassis modifications, though. The front and rear fenders were flared 7 inches on each side to make room for the tracks, with the mods part of a one-off body kit developed for the project. The firm also raised the sedan's ride height by 3 inches, changed the suspension geometry, and dropped the chassis 1.18 inches to make sure everything worked in concert when the driver fires up the winter-challenging machine. 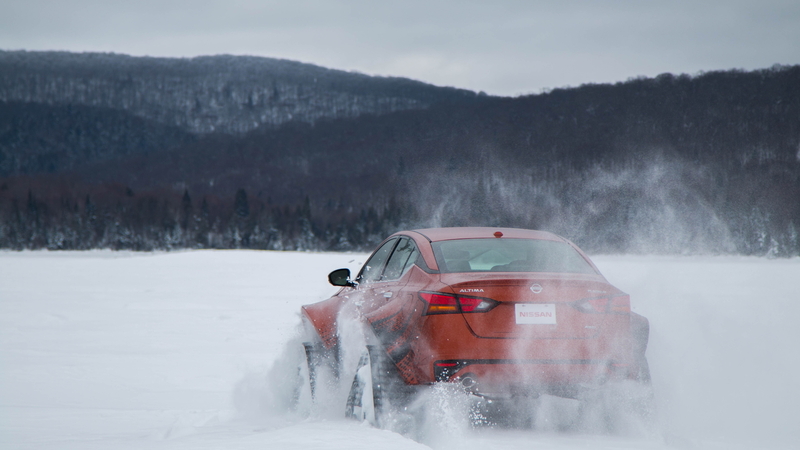 Grab a look at how the sedan handles itself with its newfound snow mobility above.